Following the success of the 2014 Winter Campaign, South of Africa has just launched brilliant deals with world renowned online platform Groupon. 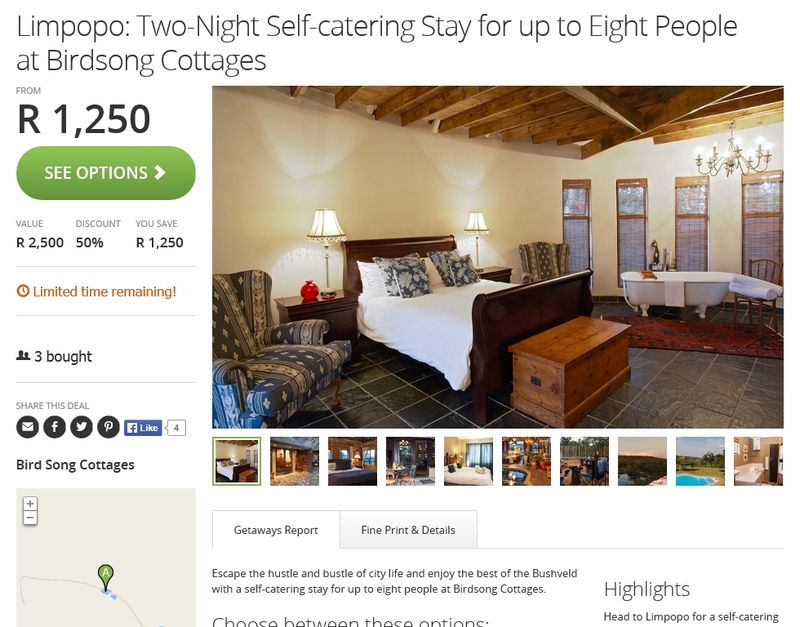 The participating properties all offer a 2 night stay, valid from 1 May – 31 July 2015. Guests can choose from a delightful bush escape at the Birdsong Cottages in the Waterberg or a 2 night stay at the colourful Modimolle Funky Stay. 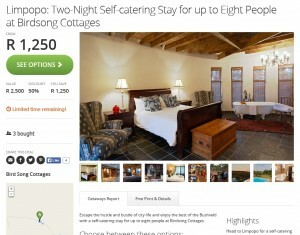 The Standard Deluxe Rooms at Elephant Springs Hotel in Bela Bela rounds off the establishments taking part in the exclusive Groupon Winter Deals.